Just follow the old sugar train railroad tracks down to the natural coastline of the resort KoOlina located West Oahu. Shooting up, actually I was laying down getting as low as possible this magnificent Banyan Tree. 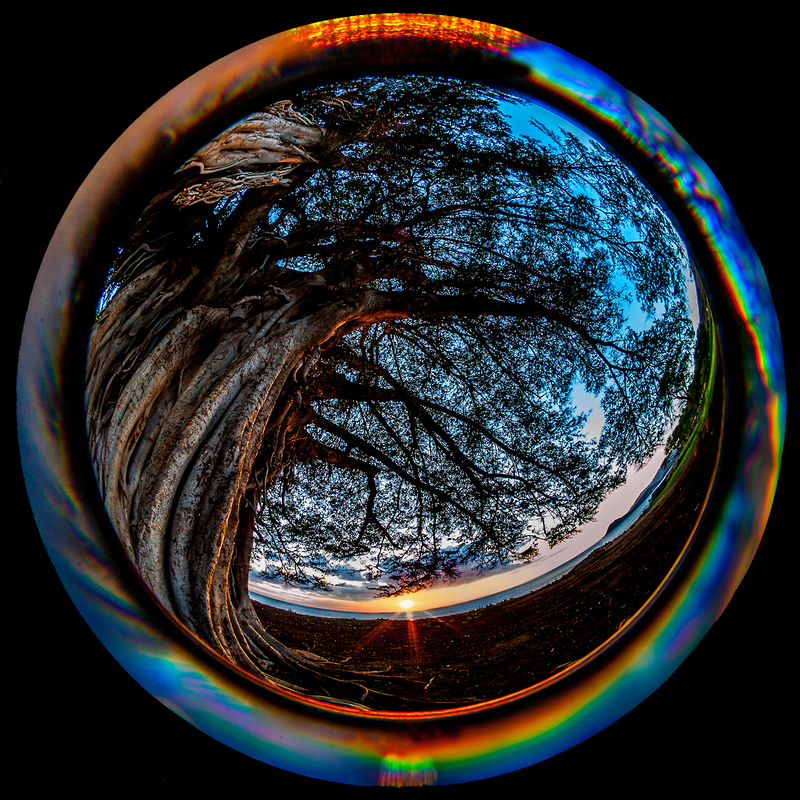 I love how the lens wrapped the tree around the sunset.